Item #1: Up the tree. Location is on the south coast of Great Britain, north of the Isle of Wight and Solent Strait, and between Southhampton and Portsmouth. The area at Portsmouth has been occupied since Roman times, was the greatest naval port at the height of the British Empire, and the first ever place to set up a production line (to make pulley blocks), and thus makes this the birthplace of the Industrial Revolution. One would expect to find smart and resourceful folks in a setting like this. The young lady, Maria Parry, of this story didn’t get the message. Harry, her tabby cat went up a tree. You should be able to guess the rest. Claudia Weber is from the Bavarian countryside town of Moosburg, along the River Isar, 25 miles northeast of Munich. She works in Munich, and that became the source of her creation – a knitted scarf. Public transportation doesn’t always run on time. 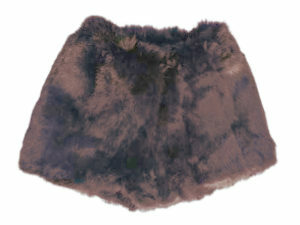 Claudia responded with a “rail-delay-scarf” or in German – Bahn-Verspätungsschal. After a year the scarf grew to over four feet long, with each color indicating a delay of a different length. It was sold on Ebay to raise money for a charity. 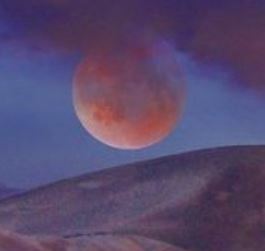 There will be a total Lunar eclipse this weekend. To unpack the verbage, “wolf” indicates a January happening, “blood” means it will have a red or copper color tint; and “super” means the size of the moon will be larger than average. The next one will be Jan. 31, 2037. I’ll be 93 and will toddle out in my slippers to view it. Seriously! Most of the U. S. is going to have rain, snow, or just plain old clouds. Oh well. On the bright side, many Lunar eclipses (and there are lots of them) put on similar shows, so this really isn’t a big deal. 21% of Canadians won’t go outdoors if there’s no Internet. I assume this is mostly about cell-phone reception, but the report wasn’t clear. This comes from a small island in the nation of Vanuatu. 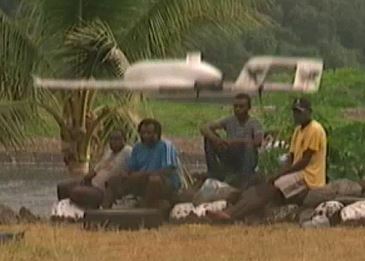 In the photo (from a video), a white drone magically delivers vaccines to a place called Cook’s Bay, a small, scattered community that does not have a health center or electricity, and is only accessible by foot or small local boats. In the previous comment, Canadians won’t go outdoors. The folks in Cook’s Bay might find going into a Toronto skyscraper equally daunting. They do have simple frame houses, but they live, work, and play outside. This story claims locals sometimes have to walk for days to receive medical necessities. That’s where the modern technology of a drone enters the scene. 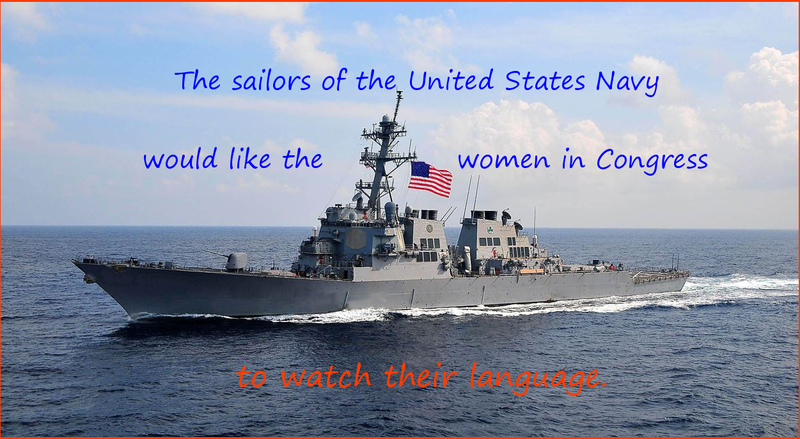 Item #6: Can you swear like a sailor? Over the past couple of weeks there have been foul expressions used by women in Congress that my mother would not have approved of. As well, it appears some other folks are not too happy with this. This is about a book about the comic strip and its author. I have looked at many of the strips, but never knew the history. It was published for 10 years, then stopped. Worth a read. 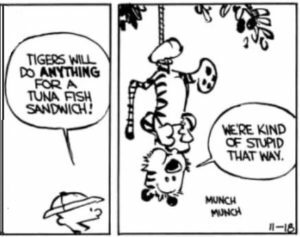 The creator of C & H, Bill Watterson, showed that when Calvin looked at Hobbes he saw a six foot tall tiger. It was not a play-thing, but a real talking tiger. This story has two videos: 1 is the fall, repeated several times; 2 is the clean-up. Make art. I’m not looking for a hobby. You might be, so think of using other liquids with or instead of coffee. Colors might be nice. Natural pigments often fade with time. Expect to do some experimentation. The image here is of white blocks with the image on the surface. The main one has an outline of Washington State overlain with two trees. 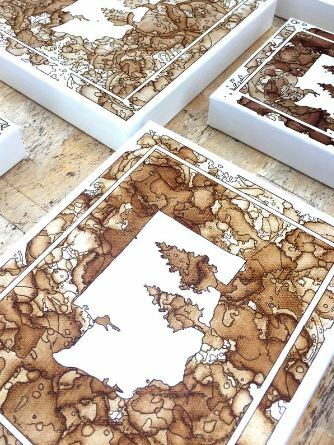 Within the text there is a link to his site ‘Coffee on Canvas’. Central Saanich is the area, north of Victoria, B.C. where you will also find the Butchart Gardens, a much visited tourist attraction. Being a “central” place, there must be others, and in fact there is an entire Saanich Peninsula. Apparently this is the region that certain native people consider to be where they emerged, that being the meaning of the word Saanich. It is a very nice place, and if I emerged there I’d likely still be there. With European settlement, the district began as a farming community, and many hobby farms, along with a handful of small working farms and vineyards, still exist. In recent decades, the area has seen increasingly residential development. 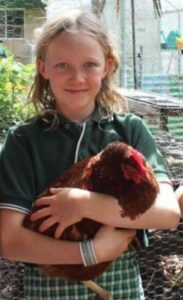 Perhaps this helps explain why there is a flock of 60 or so chickens with origin unknown, running around and laying a few eggs. 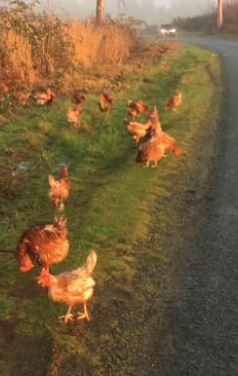 The news article ends with the hypothesis that the hens are past their prime, and were turned loose because the owner did not want to deal with them. I’ll guess this question will be resolved. We have snow on the ground but none in the forecast. Maybe a week from now that will change. With the ground cold and the air cooling at night, we get fog. This isn’t serious “don’t drive” sort of fog, but it seems to make the temperature “feel” a lot colder. Central Europe just got a load of snow. I sometimes exchange info with a person from England. He went to Austria and is now stranded in a ski-town. Claims there is plenty of Apple Strudel so he wasn’t complaining. Meanwhile, back in the States, air in the western plains seems to be getting set to send storms from western Missouri to the Appalachians and the eastern coast. Some of this is fairly far south and will cause a mess if the snow depths are near the high side. We lived in Cincinnati during two winters. 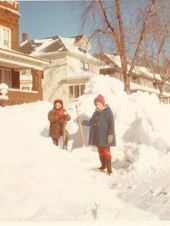 I think it was the end of January storm ( 1967 Blizzard ) that I remember. This report is from Chicago where 16.4 inches fell in one day. In Cincy we got 10 inches. Cincy did not have the plows, trucks, and crews to deal with snow. People abandoned vehicles in the middle of streets. Having come from a small town where snow was expected, the small town hardly slowed down. Cincy was shut down. So, for any in the path – Got Apple Strudel? Going to a New Year’s Eve party without wearing a tracking device is just asking for trouble. People who drink moderate amounts of alcohol or coffee live longer than those who abstain. The study also found that people who were overweight in their 70s lived longer than underweight folks. The bad news is that living past 90 is bad for your health. launching into a Christmas tree. Note the red base. After the tree – with base – is flattened, the dog wanders off and comes back dragging a 2nd (?) tree without a base. 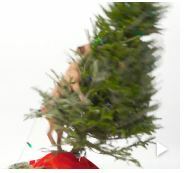 My first question was, How did they get the dog to jump up and into the tree? Tree bases usually are filled with water. This one isn’t. And did they use two trees, or just one? And which was filmed first, the one knocking over the tree, or the dragging of the tree? Ad failed. I don’t even know what they were selling. Item #3: Are you subpar? 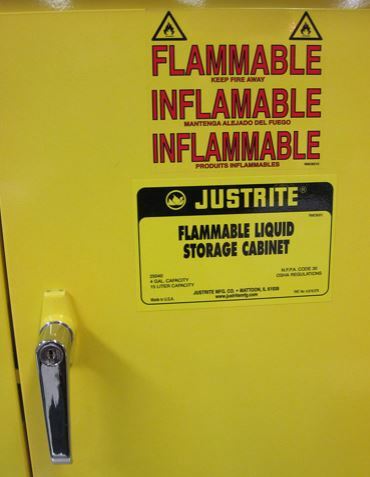 The photo shows a metal cabinet for storing liquids that can catch fire. Note the top word is “flammable” and the next word is “inflamable” with 1 ‘M’. Then next, with 2 ‘Ms’ and below all that is (in black) the first spelling again. The problem isn’t with the cabinet maker, but with the general population. Words can be tricky. Another example: If you are “earthbound” are you a space traveler heading toward Earth, or are you on Earth’s surface and stuck there? Or consider “subpar.” If you are playing golf, that’s a good thing. If it is your pay-scale, that’s not so good. If someone or something is “sanctioned” – is that good (approved) or bad (penalized)? This issue arose this week when a politician in England “tabled” [presented for formal deliberation] a motion in Parliament. In the Congress of the USA, to table a motion means it will not be deliberated, not soon, and maybe not ever. 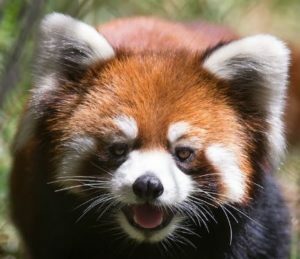 I’ve mentioned the Seattle Woodland Park Zoo’s Red Pandas. The latest is that they went for a bit of an unplanned romp that the news describes as an escape. That is a stretch, but it is a fun story. The year ends with no Sun Spots. However, there was a hole in the sun’s atmosphere that allowed a stream of solar wind to head Earth’s way, and is expected to buffet Earth’s magnetic field for the next 24 hours. 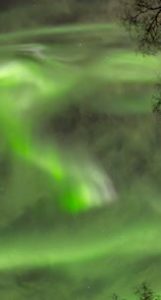 There may be more auroras. And that, for this year, is the not so nasty news. 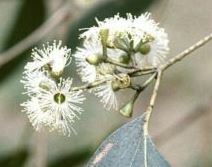 Eucalyptus regnans Link is a flowering evergreen and a hardwood tree.The one pictured is the tallest one alive, although one that had died and fallen was much taller. It looks healthy, so I will report back every 10 years until it falls. 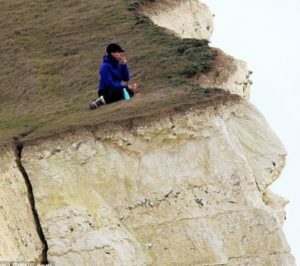 Just about everyone has heard of the white cliffs of dover. Some folks have actually seen these bright white cliffs of marine chalk. [ Link ]. Along the same coast, but 40 miles west, is a related exposure of white cliff, but less high. Being between the cliff and the Strait of Dover is hard to pass up. Rock cliffs do have the unfortunate character of breaking into chunks and falling. A person could get hurt. Homeless is better than dead, so that’s the good news. Item #3: Can you smell chlorine? Say you have an old town with lots of old pipes. 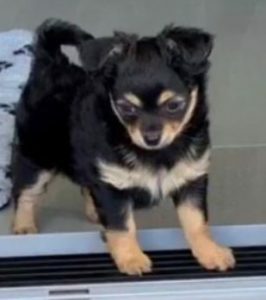 How do you find the leaks? We’ve been associating with bird dogs for a long time. Brother Kenny got one when I was still in high school. Nancy and I have seen all sorts of birddogs in action. Obviously if you need something sniffed out, you need a dog. 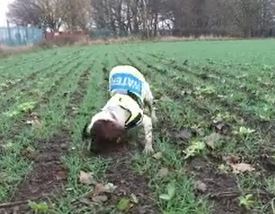 Here is the story of a Springer Spaniel that helps find water leaks. QUILCENE, WA, just west of Seattle, had rain and wind. 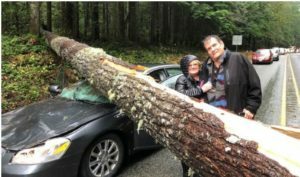 This storm tapped into tropical moisture, bringing as much as 3-7 inches of rain to the Olympic Mountains and North Cascades. Usually trees fall on electric lines and/or houses. Buick lost the battle With a gallery of 12 photos. 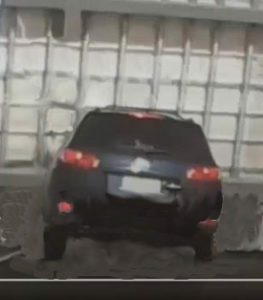 One image shows the tree broke and the upper part is near the back end of the car. Maybe the moving car carried the other section forward. 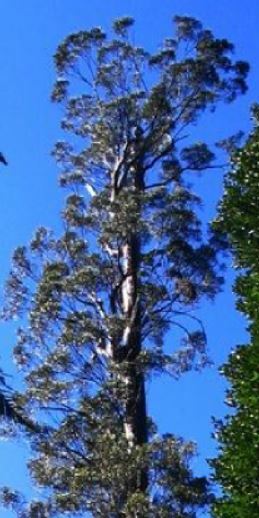 Taller trees are more susceptible to the “lever” action whereby the force of the wind at the top gets carried to the roots. Firs concentrate their foliage on the top of the tree sticking up and out above other trees, so catch the wind and act as even larger levers. They are shallow rooted. Note the lack of branches in any of the photos. One shows where the roots (or lack of) came out of the ground. This tree appears to have a larger diameter trunk than its nearby mates, so likely did stick up above them – into the wind. 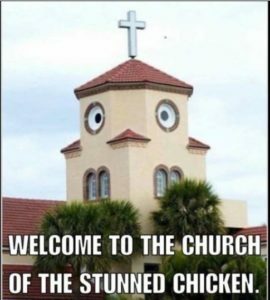 The photo of the church has nothing to do with this story. Adelaide’s pipes, all 3,209 of them, were sent to England for repair of the leaking and groaning. Each pipe was washed, re-leathered and tuned individually by ear. I hope I never have to be re-leathered. Nancy was looking at an ad from a local store that had underwear on sale. Did we need any? Just then a story from Hobart, Tasmania (TAS) was one of the headlines on my computer screen. Hobart faces Antarctica across 1,700 miles of cold ocean. One has to traverse Storm Bay first, but it is often cool, rainy, and windy in the region. The main prison in TAS is located near the small community of Risdon Vale. It has a good environment for rabbits but, apparently, not for underwear. The changes will take effect Jan. 1, 2019; in the Province of Alberta. This seems to be a big issue in the U.K. and Canada but don’t know that it has been in the USA. When we were at the University of Idaho a new dean was hired. Likely he had never traveled west of Michigan, his then place of employment. During his early days at UI he wanted the folks in Mining, Geology, and Geography to wear dress shoes, instead of western (cowboy) boots. That did not work well. 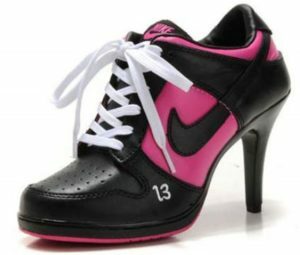 After this was announced, folks that had not worn western boots began wearing them. A bunch of miscreants, we were. While we are having freezing temperature at night, the daily high has mostly gotten above 40° F. We do not have snow – unlike lots of other places in this wide land. So far, that’s good. However, mountain snow is desired because it is the region’s storage facility for electrical energy and water for crops. The only thing in our forecast of interest is an “air stagnation advisory”, meaning bad news for those with breathing problems, and those who invested in wind farms. During Sat through Tuesday, wind power – green line in this chart was near zero. Early evening of the 14th wind at Ellensburg hit 18 mph, than dropped to 3, had another small burst and is again at zilch. In this chart, “Fuel” means gas, sawmill and paper plant materials, and some methane from landfills. This is fairly steady but does go down and up with activities at these facilities. The nuclear plant is southeast of us about 70 miles and has been a steady electricity producer since December 1984. The good news is the “hydro” power way off the top of the chart. 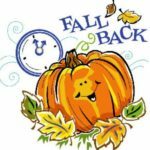 When the wind picks up – maybe Thanksgiving Day – and the blades begin to turn, the output from the dams will be dialed lower. This region-wide process is called “balancing” and the chart I’ve used updates every 5 minutes. The Bonneville Power Administration in Portland has this responsibility. Over the last three days our friendly broker has brought 15.9 tons of baled hay. It is now stacked in our shed, and will feed the horses through all of next summer. We used to bring hay home in a stock trailer and pickup – about 3 tons. 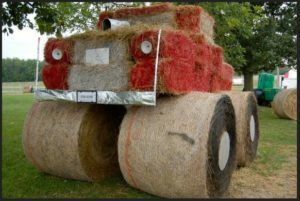 When I was a kid in PA, bales weighed about 65 pounds. Now they weigh about 110 pounds. I did help unload this week. As the horse herd grew, getting hay started to seem like real work. We no longer have to make that effort. And that’s good news. This story is from Australia, so maybe gutter is a slang term meaning something other than running off the road and bouncing around in a ditch. Don’t know. 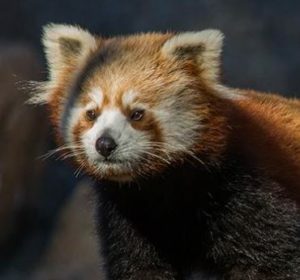 There is an animal called a Red Panda, being neither red nor a panda. They do have a ruddy coat color and they do eat bamboo. Close enough. The zoo in Seattle (Woodland Park) had a female named Hazel. In June along came Sisters Zeya (ZAY-uh) and Ila (EE-la). Last week visitors had a chance to view them. They have been in a controlled environment. 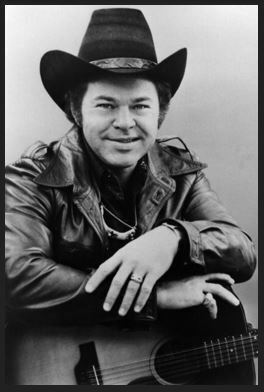 Roy was 85 and hasn’t been in good health. A few years ago he still performed, surrounded by other great musicians. They had a fun time together and fans seem to love the shows – even knowing they were not seeing him at the top of his game. When that really might have been, I don’t know, but here is a sample. This is a performance when he was 31, more than a half century ago. There are 2 short videos at the link below the photo. 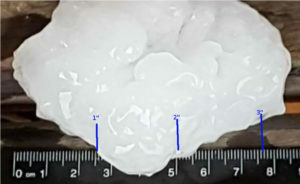 One with dime-sized hail and the other with somewhat larger hail. Scale is in metric. Blue lines are an inch apart, 1, 2, 3 inches. It is early ‘spring’ in New South Wales so some crops were damaged. Reports of injuries to people and animals are lacking. That’s the not so nasty news. Whatever happened to peanut butter and bread? Maybe my sister can help me out here, but I don’t remember raising plants or animals at school. For quite sometime we carried lunch from home. Then (when?) there was a cafeteria in rooms just off the basketball court. I have no idea what was served. We did have a garden at home – about a mile away. I don’t remember walking home for lunch either. But never mind. I do wonder if the kids at this school study letters and numbers, history, and so on. So here is the funny thing: I don’t actually remember learning anything at school until about grade 5/6 (same room together). I do remember helping in the garden and learning to cook. Your remembrances may be different. The headline included the words “jingle dresses” and being the non-world traveler, I had not a clue. So, I followed the link. A Facebook page was used. Saskatoon’s page, with 26,000 followers, has about 10,000 more followers than the Toronto Crime Stoppers Facebook page. I investigated further and found I can buy the little jingle cones for about $20 Canadian for 100. At the moment that’s about $15 US dollars. 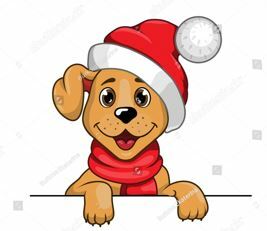 Jingle jingle This is a Wikipedia article. The origin story is interesting. Involves a sick child. My car is blue, so these are not me. This is the 3rd or 4th time in 2 years that I’ve had delays getting home after being out and about. In 2017 I went east of Spokane. Just as I got on I-90 to head west, a utility transformer caught fire and high voltage power lines dropped across all lanes of the highway. 1 ½ hour delay. Earlier this year, very early in the morning I headed to Stephens Pass. Large fires and regional air circulation brought smoke into the mountains. I was on the road with no way of knowing the event I was headed to had been cancelled. 2 hours each way, and a complete waste of time. Consolation prize: I got to see a Mountain Lion cross the road during my return trip. Awhile ago I again went southeast of Spokane to a trail and while there a grass fire started near I-90 on the Ellensburg side (west) of the Columbia River. For about an hour I got to watch airplanes and helicopters fetch water from the River and head toward the massive smoke plume near Rye Grass Summit. This one took 1.5 hours of extra time getting home. Thursday, I was just starting up the hill, not even to the 2-lane passing section, when I came to the stopped cars about a mile from the accident site. About an hour later, the 2 wrecked vehicles were brought down the hill. I went on to Quincy – 6 miles – with the road full of vehicles, and side roads too. At Quincy I turned south, so I’ve no idea how far east of Quincy the line of stopped vehicles continued. 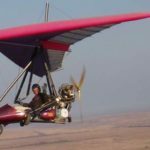 Did I mention that at White Heron Cellars, I am a total of 24 miles from home – if I had a helicopter, or one of these *Ultralight_trikes* traveling would be a breeze. Some of you may know of the singer Joni Mitchell, and that her home town was Saskatoon. Okay, me neither. Of great interest is that she is just 2 months older than I am. 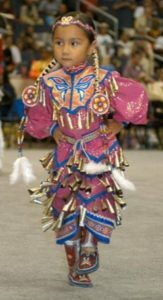 She just turned 75, and for this she was given a new name, that being “Kāwāsapizit Wābiski Makawko-ikē” from a childhood friend of the Yellow Quill First Nation. I bring this to your attention because I now am in great anticipatory mode, awaiting January 4th and a new name. I know it could be something like “Stinking brown pile of bear crap”, but I’m hoping for better. Thanks. 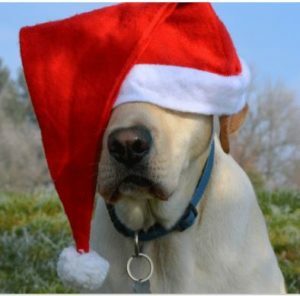 Christmas is soon, but you still have time to get ready. Start now. However, it is late in the day so Nancy’s weekly report won’t get done until Monday. Three times each year our local paper publishes an agricultural section. The current one wraps-up the growing season, here mostly hay. One came with Monday’s paper. There was only a little damage from rain or smoke, harvest went well, selling price is decent. It doesn’t take many words to say whether the crop was good, bad, or in between – so 97% of the Cover, all of page 4, 1/3 of page 5, and all of page 6 are pictures of baled hay covered with white/blue tarps. 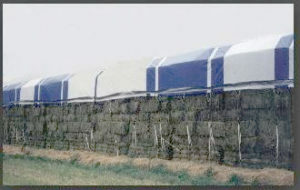 There are no pictures of hay growing, or of the harvest, nor of the trucks carrying hay to the port over in Seattle. Do I ask too much? Because the paper can’t afford to hire reporters (they recently stopped printing on Fridays), they filch material from other papers in their system. One is about bees. Our paper gets its story from the “they think I should subscribe Seattle Times”. 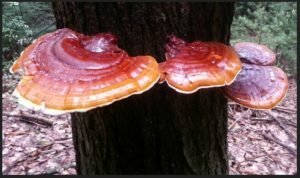 The Reishi, commonly known as Ling Zhi in Chinese, is a herbal mushroom known to have miraculous health benefits. 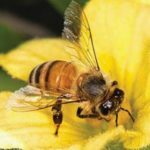 I have no idea about this for people, but as the links show, research is on-going regarding bees. Item #3: Katharina, don’t go north! She did. This is about a hiker on the Pacific Crest Trail (PCT), Washington State, October 30th. I’ve worked on the PCT numerous times in the Washington Section. In 2005 (+ Or – a year) I spent a week a mile north of the last paved highway. We were there a week. Friday was our last work day. We would leave after breakfast in the morning. We should have gone Friday. By morning our water filter system had frozen solid, and breakfast was cancelled. From Rainy Pass to Canada is 66 miles. We were camped at 5,100 feet. Eight miles from Canada the trail tops out at 7,126 feet. Advice from US Forest Service folks is that if you are not past Rainy Pass by September 1st you will likely need to be rescued. 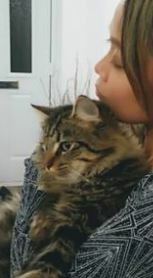 No wonder she is smiling. Or, this post needs a horse story. 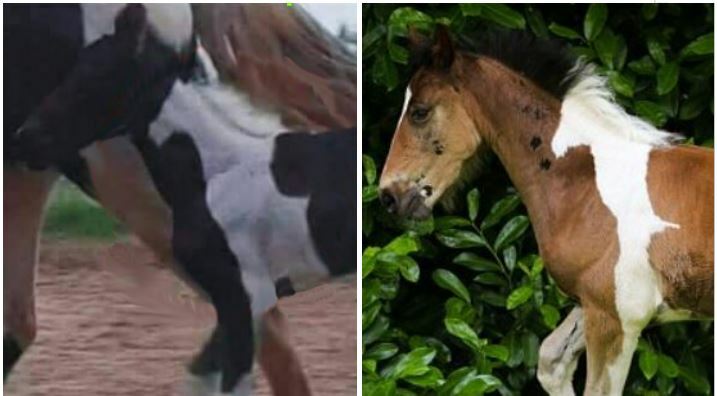 We were sent a photo of a baby horse – left photo below – with a red circle over the “white horse” pattern. I took the circle off and tried to find a match via a Google image search. That returned the same red-circle image, from a Spanish Facebook post, saying “Genial!, premio doble“, or something akin to Great! Double prize. And that’s all I know about that. Vinny is a Brit: a May colt at the Fyling Hall riding school, SE of Robin Hood’s Bay, about 200 miles north of London. Looks as though the colts play rough – he’s missing a few patches of hair. Crawley is part of the Perth metro area. A wide shallow section of the Swan River is near, called Perth Water. Adjacent is Kings Park, about 1,000 acres with 2/3 native bushland. Being part of a modern city, there are also tall buildings. 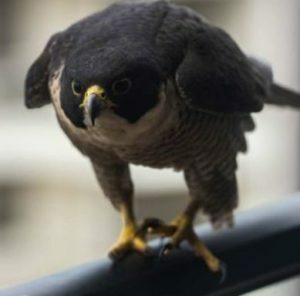 For a bird of prey, what’s not to like? 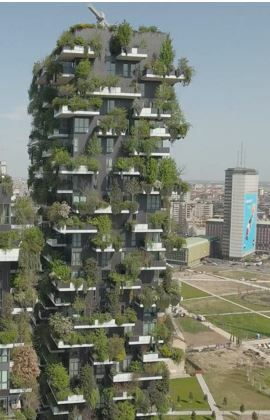 A tall apartment building with views of prime habitat for its source of food is a great substitute for a cliff. A vacant planter on a seldom used balcony is too enticing to pass up. [ Old joke: If Picabo Steet worked in an intensive care unit of a hospital, how would she answer the phone? You should be thinking of baking an Apple Pie. 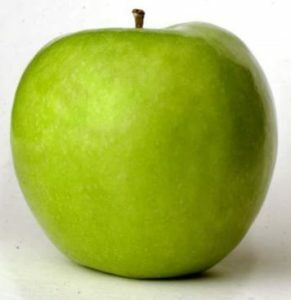 We don’t have any of one of the favorite baking apples – Granny Smith – but your local grocery should have them for about $1.25 / pound. I’ll let you worry about that, and the recipe. According to legend, a tree grew from the discarded core of a crab apple thrown out of the kitchen window in the farming community of Eastwood, 10 miles or so north of Sydney, Australia. If you are a baker, you will find the next item of interest – and have two things to bake. Item #2: Will you bake for the holidays? Across the Delaware River from Philadelphia and south is (1) Woodbury, NJ. 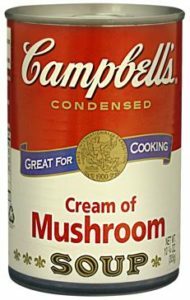 Camden (2) is a few miles north, and Haddonfield (3) is east of #2, home of the Campbell Soup Company. Dorcas Bates Reilly is the tie that binds these NJ towns. She was raised in #1, worked in #2, and retired to #3. Dorcas lived to 92, but sadly died Monday, October 15th. You can pay tribute to the inventor of green bean casserole with crisp onions on top if you bake one of these wonderful dishes in the next few weeks, as millions of Americans will. Get busy. The service for Dorcas will be this Saturday so it is likely too late for you to get to Haddonfield – and there’s the good news. 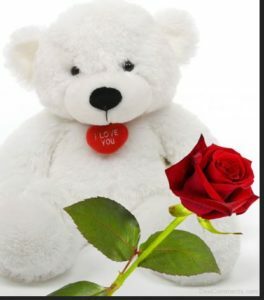 Above two images are from the web. Below is an ad from our regular grocery store. The popcorn price is $8.58 per pound. And just to be totally clear – – all popcorn is gluten-free.